The most expensive film in Spanish cinema, that will begin rolling at any moment, has the name of the novel character Alatriste. Viggo Mortensen incarnates the character of Captain Alatriste, created by Arturo Pérez-Reverte, in a film that reconstructs the Century of Hispanic Gold when Spain was an empire, under the direction of Agustín Díaz Yanes, with a 22 million Euros budget it will take us on a journey to a past of adventures, romances and treasons. The director refuses to discuss with us about other candidates, and Arturo Pérez-Reverte, 'father' of the printed word character, assures us that Viggo began to appear to him to be the appropriate person to interpret Alatriste from the moment he saw him torturing Demi Moore in G.I. Jane. 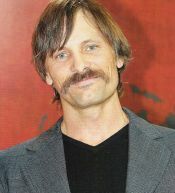 Famous for being a perfectionist and for committing himself to believing in his characters before interpreting them, Viggo Mortensen takes a walk in Spain with the moustache he has grown for Captain Alatriste, but it seems he is worried about polishing the language he needs for the role of becoming a Spanish mercenary that rents his sword like an assassin to earn his living in an empire that is beginning to destroy itself. It is the return to the big screen of the king of swords in modern cinema in a film that summarizes the five novels published on the character. What can you tell me now about your character Alatriste, even though you haven't started filming yet? It is difficult to talk about this work when we have not done anything. I believe it is not only a good story about adventure and misfortune, but it is also something that interests me very much: an opportunity to know what it was like in this collection of towns during a crucial time in Spain, Europe and the nations of the world. It is a history that is not very well-known, not very well represented by the cinema until this moment. And it is an honour for me to participate in this film which is going to show what it was like to be Spanish, to be in Europe, at that hard time of death and corruption. On the other hand, it is very easy for me and also the public to see the parallels that exist between the Spanish empire and the empires that have existed later, until arriving at the empire of the United States today. There are the same lies, the same bad information and corruption. I think for Alatriste and his companions it was not possible to live in that world and not be worried when they discovered what was happening there, and when we discover those lies we have a knowledge about what is going on in the story. It interests me that we can make a film that has these qualities but also amuses. I liked the script because it is a good adventure story and in addition you find out about that time in Spain where very little is known about it outside of the country. You get to know about all the good and all the bad that happened in Spain at that time. You are able to speak Castilian because you spent part of your childhood in Argentina, but now you need to speak it like it was in the Century of Gold. Does the accent create a problem for you? No, like all actors it is my wish to speak Spanish like it was at that time. As we do not have recordings then we don't really know how it was spoken, but I will do everything I can so that it doesn't sound strange when I am on the screen interpreting Alatriste. You have been walking in Madrid de los Austrias where part of this character's eventful journeys take place. Does it help with the atmosphere when you go to these surroundings? Yes, I have taken walks where I have been able, mainly I have been in the north so that I know the area where the character more or less comes from. Arturo Pérez-Reverte says that he comes from the area of León and Castile, and I have spent the past season in the towns there, listening to how people speak to try to know how it would be from the place where Alatriste comes from. It is my mission to help me to believe in the character, because if I don't create him properly then it will be difficult for the public to believe in him. It has already recounted this history badly, so why not do it well for once? Had you seen any films by the director of Alatriste before you accepted to work on this project? Yes, I had seen Tano's [Agustín] film. Had you read some of the books by Arturo Pérez-Reverte before you accepted the role of Alatriste? No. I read the script and I liked it. Soon, yes I will have read the books, and they interest me a lot because I want to understand how it would be possible to construct the character. That is what I'm working on at this moment. I know that my character is bitter and upset. He has good things within him, but it is difficult to find them. But as I've already said it is difficult to talk about a work that I haven't done yet. I feel as if it would bring bad luck if I spoke about something before it happened, although I understand that this is to sell the film and I'm contented to be part of this. This occasion has called upon you to return to sword fighting, like you have already done in the Lord of the Rings trilogy. Yes, but in the Lord of the Rings the swords were different, and the sword fighting also, so I've had to go back and learn everything from zero, although I have the same sword-master teacher. Aren't you a little tired of sword fighting? OK, when I read the script I liked it, but first I thought or I asked myself if indeed I was a little tired to accept working with swords again. I thought about it for a little while and the answer was no, because what I like about this film is the history it recounts, and also the historical period. In addition the fighting style is very different. More violent, more dirty, although at the same time it is finer. I am not scared about being classified because I don't look at what's said anyway. This is something more than an adventure film.